Hand crafted Japanese scissor with 440C yanagiha blade with convex edge and offset relaxed handle with fixed finger rest. Washou Japanese Performance Class SE1 Scissors, hand crafted Japanese scissor with 440C yanagiha blade with convex edge. Offset relaxed handle with fixed finger rest, high quality Tensionics one click tension screw. Available in 5.5 Inch and 6 Inch, please use the drop down box to choose your size. Supplied with leather case, chamois for cleaning and sharpening and adjuster key. Please note Washou scissors are hand crafted in Japan so delivery can take 7 – 10 working days for delivery. The story of Washou scissors stretches back over a 100 years, during this time they have been master steel craftsmen.Washou’s founder master Toki started his carreer with mastering the art of sword making them applying his techniques to mastering the art of scissors and blades, now Washou is regarded in hairdressing circles as one of the best range of professional Japanese Scissors. Washou scissors are all made from hard wearing Japanese steel, ATS314, Molubdenium and Damascus and each pair are handcrafted and sharpened to perfection for precision cutting. 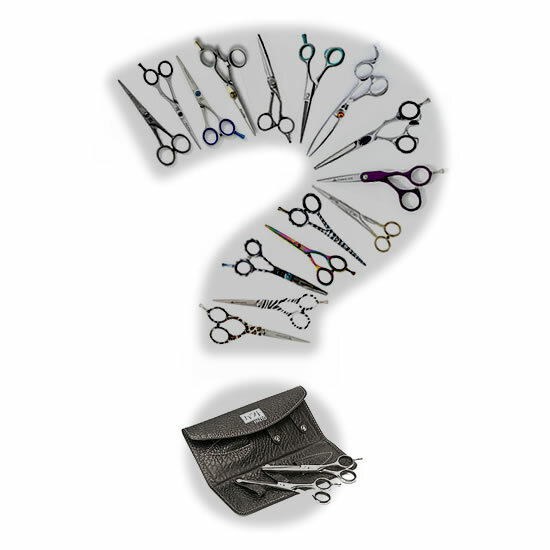 All Washou scissors come with a lifetime guarantee on all working parts so you or your stylists can feel assured when purchasing a pair of Washou blades.